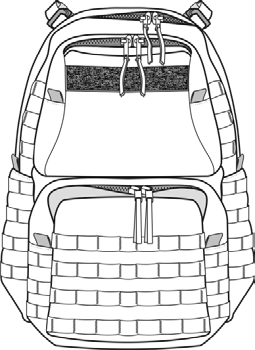 In September 2009, the Soldier Requirements Division of the US Army Infantry Center expressed a need for a rucksack that could accommodate a typical 24-72 hour mission. The existing large rucksack was considered too large and the assault pack was too small. The Product Manager for Soldier Clothing and Individual Equipment (PM-SCIE) quickly developed a Medium Rucksack to fill this capability gap. The Medium Pack Assembly, shoulder straps, and hip belt come pre-assembled to polymer frame. The Medium Pack has numerous internal and external compartments. These compartments allow the Soldier to organize their equipment, such as radios, batteries, and/or AN-PVS-14. The large, lower outside pocket is sized to fit one Gen III ECWCS Level 7 jacket. 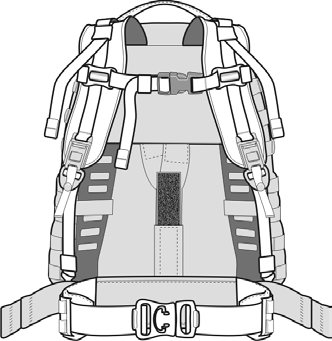 There is a large internal pocket along back of pack to support one hydration system. There is an external, top pocket with slide fastener opening. The Main Internal Compartment has a harness assembly to support the Advanced System Improvement Program (ASIP) Radio. There are two internal pockets sized for 60mm mortar rounds that also allow the Soldier to organize equipment more efficiently. The Medium Pack has a top carrying handle with two side release attachment straps which allow the Soldier to carry items of equipment externally to the pack. 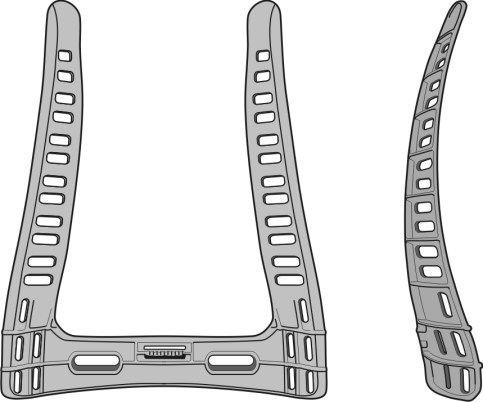 There are three hook-and-loop ports designed to allow Soldier to route antenna(es), handsets, and to route their hydration system to outside of pack. The horizontal webbing on outside of pack allows the Soldier to attach any pouches from the MOLLE II system, to include side sustainment pouches from the main pack or large rucksack. The shoulder strap attachment allows taller individuals to lower the medium frame assembly to better fit their torso. The molded medium frame is contoured to fit the shape of the back and allow the user to wear the rear ballistic plate of standard body armor without discomfort.